The end of the year is approaching fast, and from mid-November Thanksgiving, the holidays and Christmas will provide extra distractions, so there’s no time like now to start thinking ahead about reducing next year’s taxes and filing hassle. Read on to find out our top 5 tax strategies to help you get ahead of the game for next year’s federal expat tax return. If you have any losses on investments you can write them off against gains as long as you have sold the loss-making investment before the end of the tax year. If your total losses are more than your total gains, you can also use up to $3000 of losses against other income, reducing your overall tax liability. If you think this year’s loss-making investment will pick up again next year, you could consider selling it before the end of the year then reinvesting in it again in early 2017. In 2016 you can give up to $14,000 away to charities without having to fill out a gift tax return. There are rules though, so it’s worth making sure that you do it properly before the end of the tax year to ensure that your donations qualify. For example, it’s worth knowing that only donations to qualifying charities are deductible (very few international or foreign rather than US charities qualify); that the donations need to be itemized (rather than lumped together) on your return; and that you need proof of every donation of over $250 in the form of a written statement from the charity. Donations must also be made before the end of the tax year to qualify of course. If you haven’t used up your total gift allowance on charitable donations, you could consider using the rest gifting people, for example your children or grandchildren, as a way of passing on wealth tax-free. The same rules apply, except you don’t need a written receipt, just proof on your bank statement. As contributions to pensions and IRAs are deductible from taxable income, it’s worth considering contributing more before December 31st. Company-sponsored 401(k) plans are a good deal because employers often match your contributions. There can be lots of paperwork involved in an expat tax return, so it’s worth starting to prepare and collate it early. You’ll need proof of your income, proof of your business expenses, proof of foreign taxes paid (if any), and proof of any charitable donations. 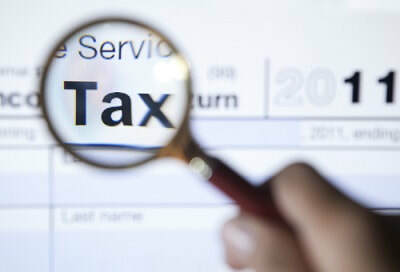 Also, if your funds in bank and investment accounts were greater than $10,000 in total at any time during the tax year, you’ll need to file an FBAR (Foreign Bank Account Report), so you’ll need to note the maximum balances of all your accounts during the year, along with the account and bank details. Lastly, you’ll need a record of your international travel movements for the year, with particular reference to dates when you entered and exited the US. If possible, bring forward any deductible expenses from early 2017 that might reduce your tax burden, such as mortgage or other property related payments. Similarly, it may be worthwhile deferring income until after January 1st if possible, for example bonuses or self-employment payments. Everyone’s situation is unique, so if you have any questions or doubts, get in touch with an expat tax specialist. If you have foreign assets (not including a home owned in your own name) worth over $200,000, you may also have to file FATCA (Foreign Asset Tax Compliance Act) form 8938.